Unlabelled SPORTS : Kano Pillars Sack Coach Kadiri Ikhana! 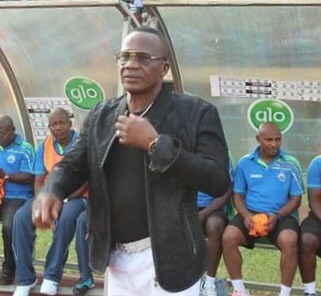 SPORTS : Kano Pillars Sack Coach Kadiri Ikhana! Nigeria Professional Football League club Kano Pillars have sacked Kadiri Ikhana as their coach in his second spell with the team, Completesportsnigeria.com reports. Pillars made the announcement on Sunday night via their verified Twitter handle. The decision to sack Ikhana was made after Pillars’ 3-1 loss to champions Rangers in a matchday 9 NPFL rescheduled game at the Nnamdi Azikiwe Stadium on Sunday.